A created report can be downloaded or emailed in .pdf	or .xls	format. 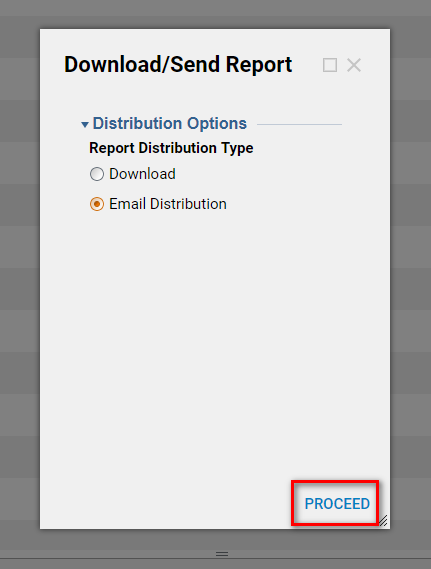 To email a report click on the Print Report	button in the upper right, select the format, and click Email	. The goal of this example is to demonstrate how to take an existing report and send it as an email through portal actions. If you would like more information on how to create a report, please click HERE. 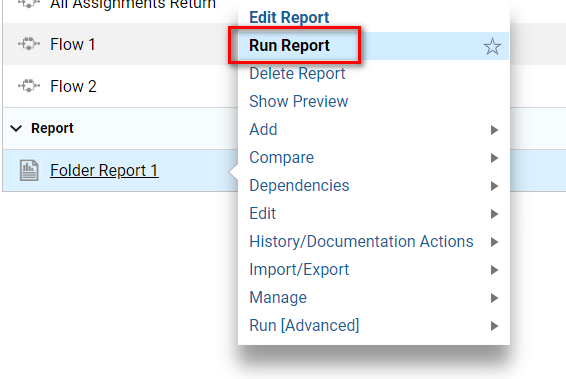 To begin, go to any report, select the report’s name and select Run Report	from its Actions	menu. In the upper right, a series of buttons display, click the Print Report	button. A user is presented with two options. 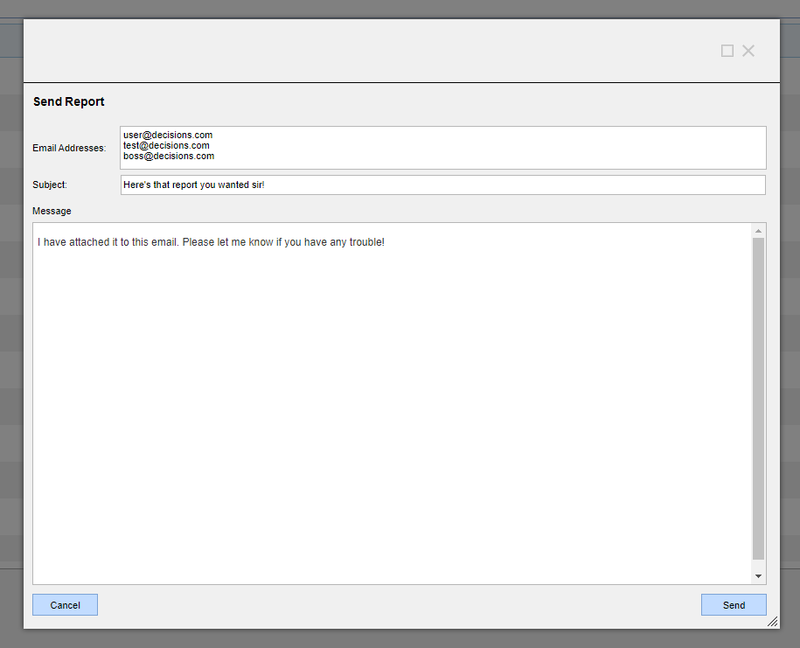 They can either Download	the report or choose the Email Distribution	option to have the report emailed. For the purpose of this example, select the Email Distribution	option and click Proceed. Fill out the To	, Subject	, and Message	text boxes and press send. The user will receive an email with the report attached in .xls	format.